NOTE: WE ARE PRESENTLY CLOSED IN SOUTHERN CALIFORNIA. WE ARE LOOKING FOR OUR NEW LOCATION IN ANOTHER STATE. PLEASE BE PATIENT WHILE WE FIND THE NEXT PERFECT LOCATION FOR THE ROCKING M RANCH ANIMAL AND TORTOISE RESCUE. I AM STILL AVAILABLE FOR ANY QUESTIONS VIA OUR EMAIL AT ROCKINGMRANCH7@GMAIL.COM. WHILE WE MISS LIVING IN SOUTHERN CALIFORNIA IT WAS TIME FOR A CHANGE SO WE ARE TAKING THIS TIME TO VISIT ALL 50 STATES AND ENJOY SOME DOWN TIME. WE WILL UPDATE THIS WEBSITE WHEN WE RE-OPEN. We at RMR try to save dogs and cats that enter the shelter system. We serve to the local area of French Valley, Menifee, Murrieta and surrounding cities. Rocking M Ranch is a organization devoted to rescuing homeless and abandoned animals. By working with dedicated volunteers, foster families, and local veterinarians, we are able to save countless homeless animals every year, provide them with loving temporary care, and find them compatible, sensibly screened forever homes. All RMR dogs and cats are housed in foster homes where they are provided with an enormous amount of love and any medical attention that may be required to ensure that they are in good health before adoption. They are all spayed or neutered and brought up-to-date on shots before being placed in their new homes. When time allows, our dogs are also house trained and taught basic obedience. 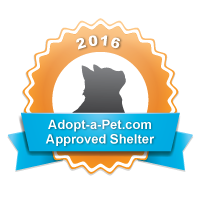 Our goal is to reduce the amount of dogs and cats euthanized in shelters every year, because of over population. We are primarily a dog rescue but we do take cats every now and then when we have room. Rocking M Ranch Animal and Tortoise Rescue was founded by Marianne Parker in 2000. Marianne is a former California State Humane Officer and this rescue was founded as a way to give back and help animals. Rocking M Ranch is a 501c3 recognized animal rescue and all donations are tax deductible. Do you know he's lost weight? and has lost all faith? I adopted your dog today. there no reason he couldn't stay? he will learn again to trust. And here he will stay. and a warm bed on which to lay. And I will give him all that he could need. Patience, love, security, and understanding. Hopefully he will forget your selfish deed.